The Hop & Brew School® Podcast is an original series focused on connecting the world’s finest brewers with the latest knowledge about hops and brewing solutions so we can all drink better beer. In each episode, experts from Yakima Chief Hops walk you through every aspect of hop growing, processing, applications in beer and everything in between. From propagation to pint, Hop & Brew School teaches beer lovers the science and agriculture surrounding everyone’s favorite ingredient…hops! 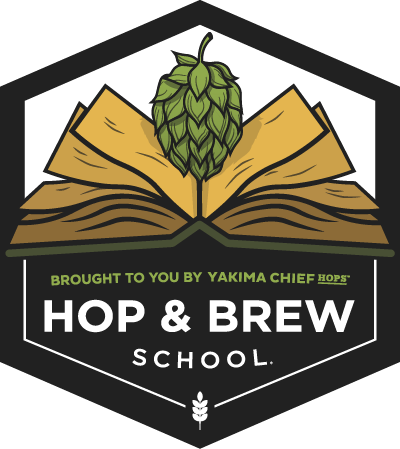 HOP & BREW SCHOOL® is a registered trademark of Yakima Chief Hops, LLC. Used with permission. Nick Zeigler and Justin Crossley discuss the mysterious phenomenon of "hop creep" in craft beer. In this episode of the Hop And Brew School Podcast, Nick, Alex, and Justin take us through some of the many factors around selecting hops.